Two adiabatic methods, intelligently combined. The Condair DL hybrid humidifier relies exclusively on the advantages of both humidification methods: atomization and evaporation. This results in the sustainable resolution of key problems which can emerge when these technologies are used in isolation. 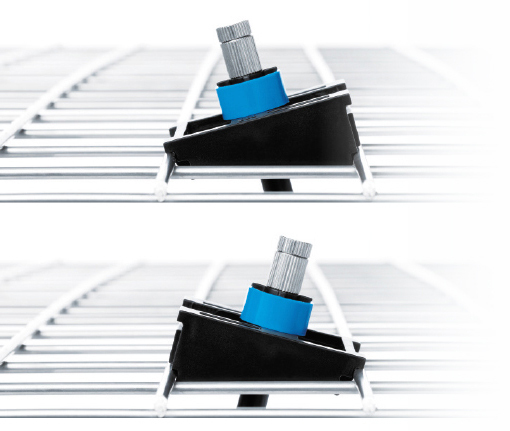 The nozzle itself sits on a flexible mounting clip that can be adjusted so that it is straight or set at an angle of 15°. 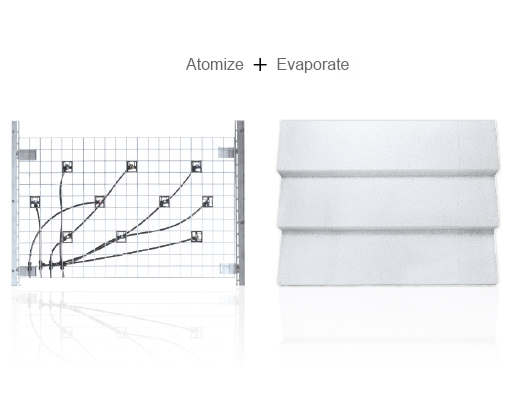 The nozzle spray cone can thus be directed so that the humidification water hits the evaporation ceramics fully, even in the critical edge areas. NLow-pressure systems generally get by with a significantly shallower design depth than high-pressure humidifiers. 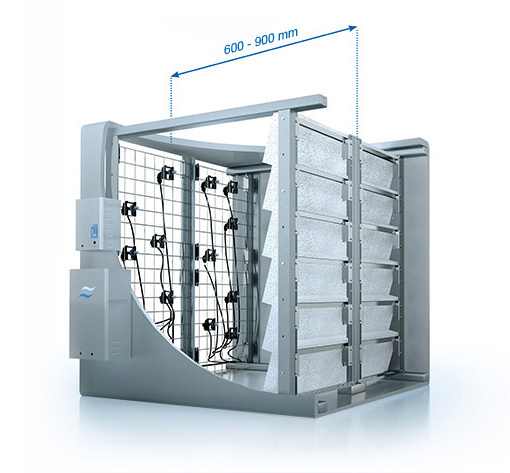 Due to the arrangement of the evaporator ceramics so that they cover the full area, and as a result of the spray cone of the molecular diffuser nozzles, the entire overall depth of the Condair DL can be reduced to up to 600 mm. Thanks to its compact design, the humidification chamber can also be shortened, achieving a significant saving in materials. Water aerosols in microbially contaminated humidifying water or existing biofilms can become germ carriers and contaminate breathable air. Here too, the Condair DL offers a sustainable solution with the ceramic evaporator unit which separates and effectively evaporates the humidifying water completely from the air current.